Whether you are looking for recruitment materials or just prefer the paper world over digital when it comes to registration and donations, you should find what you need right here. We have even added a link to downloadable digital assets such as Facebook cover photos!Race Registration has just opened online... The paper world takes a little longer to sort out! 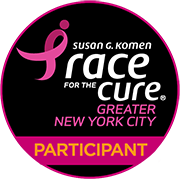 Register By Mail for the Race for the Cure. Simply download, print, complete, and mail! Donate By Mail to the Race for the Cure. Simply download, print, complete, and mail! Submit Your Collected Fundraising - wondering how to get those checks and cash donations reflected on your Fundraising Meter? There is a form for that! Simply download, print, complete, and mail! Race Participant Waiver Print out the waiver for easier reading! Volunteer Release & Waiver Print it out for easier reading! Let people know you're committed to the cure! 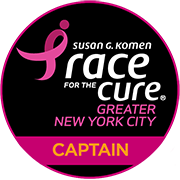 Pink out your profile with these Race images to show your friends you're supporting the Race for the Cure! These profile and cover images are tailor-made for Facebook― All you need to do is save them to your computer (right click, "save image as..."), and then update your photo on Facebook (look for the little ghost camera in the top left corner of your cover photo or the ghosted pencil icon on your profile image).